Thank you! LOL I just realized how well they fit with my current theme lol. 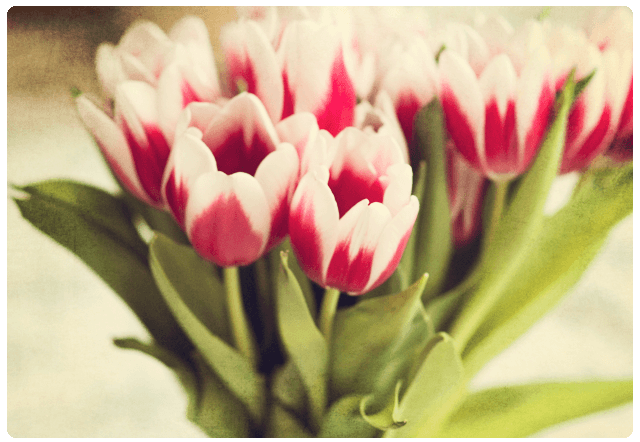 Lovely series of beautiful flowers. Thank you! 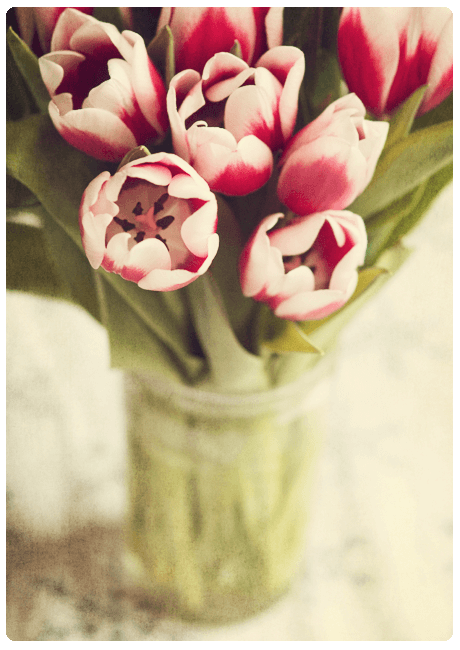 I love spring flowers so much, I spend a fortune each week getting 1-3 bunches of tulips or daffodils lol. Love the composition and the editing. Great shots. I absolutely love how you captured the tone of these flowers. Lovely colors. Thank you! I struggle so much with indoor photography for some reason, I completely blank out. Drives me crazy, so that I was able to get some decent shots made me pretty happy! My daughter loves tulips! These are beautiful photos. These are just so gorgeous. Visiting your site is like taking a virtual walk through a fantasy world. Thanks. 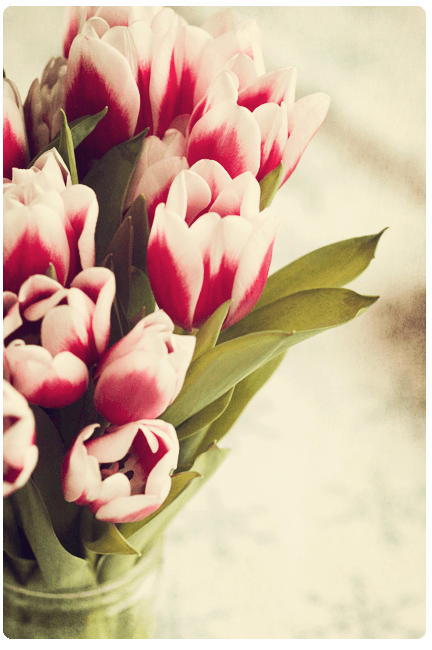 Those are quite possibly the most beautiful tulips I have ever seen. Absolutely stunning. Thank you! I loved how they went from red to pink to white! Wow. These really are fantastically beautiful. Aww beautiful :D Love the editing too. Just beautiful! 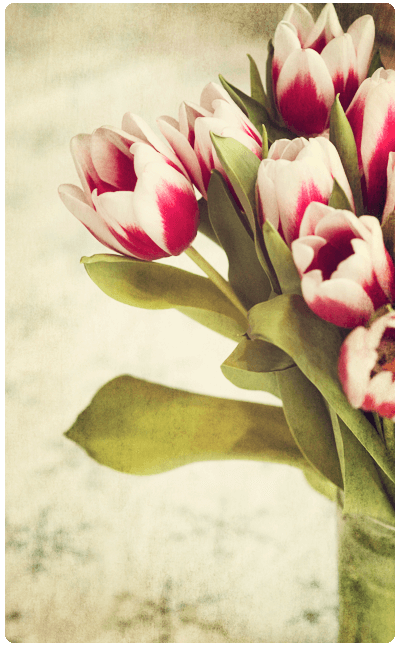 Tulips are one of my favorite flowers…every spring growing up, we would pick the ones my mom planted for bouquets for her. We had a whole hillside of them and daffodils-my mother’s favorite. I’m your newest follower! Can’t wait to see more of your pictures! You do a great job!